How a TV series is helping transform Malmö into a must visit destination: Sweden’s third largest city is the backdrop to a hit Scandi-crime series. Showing no signs off running out of steam the third season of Danish-Swedish crime series The Bridge has been a critical and ratings success throughout Scandinavia. One of Scandinavian TV’s biggest exports, The Bridge has been screened in 174 countries. Interest in the series is at an all time high cementing the third season’s status as one of 2015’s most anticipated returning dramas. Since The Bridge first aired on BBC Four Malmö has had an allure for fans of Nordic Noir eager to follow in the footsteps of Saga Norén and Martin Rhode. In tandem with the launch of the third season a series of events and activities have been organised that that will satisfy even the most ardent Saga Norén fans. 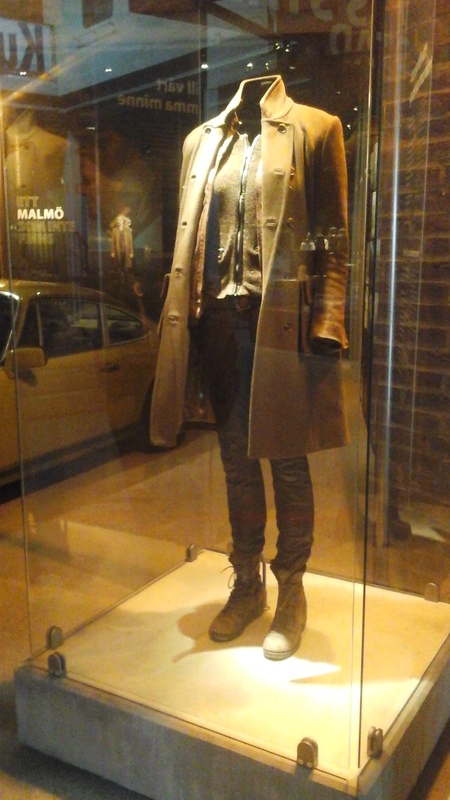 Malmö Museer’s display of props, costumes, and set designs is a must visit destination for aficionados. Running until September 2016 the exhibition is entitled ‘A Non-Existent Malmö’. As the title reflects, The Bridge represents a Malmö that does not exist. The collection of exhibits invites visitors to consider what The Bridge’s success may say about contemporary Nordic society. 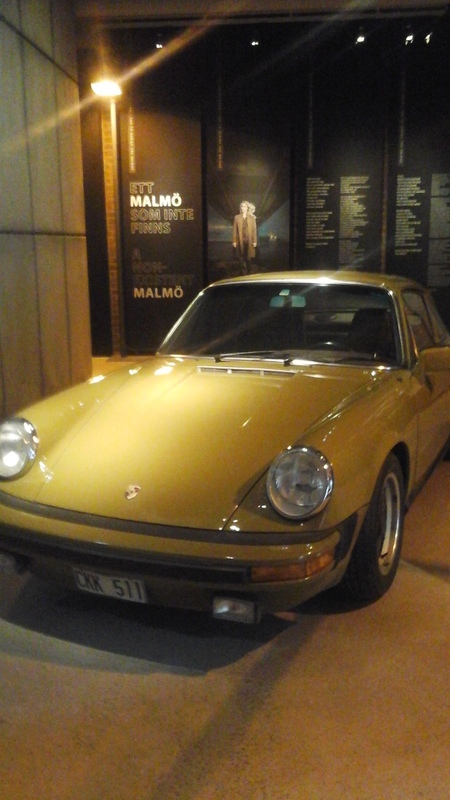 Alongside Saga Norén’s costume and mustard coloured Porsche, the centrepiece of the exhibition is a concrete bunker which represents cracks in the welfare state. 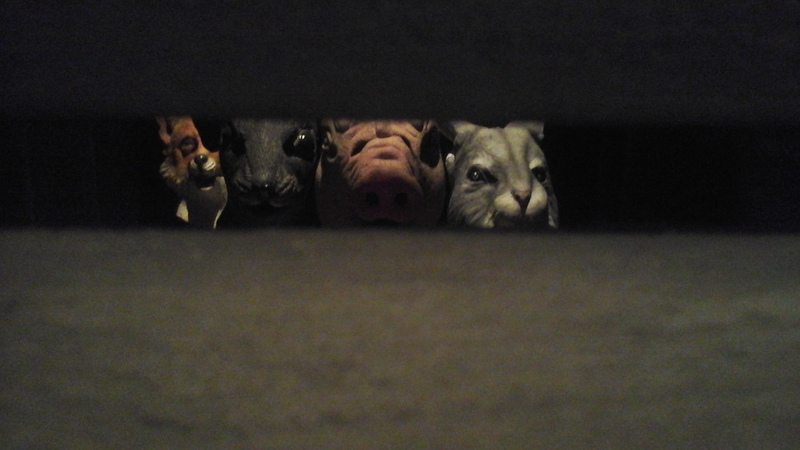 Visitors that peer through the fractured edifice will see props and costumes from all three seasons including amulets and animal masks from the second series. 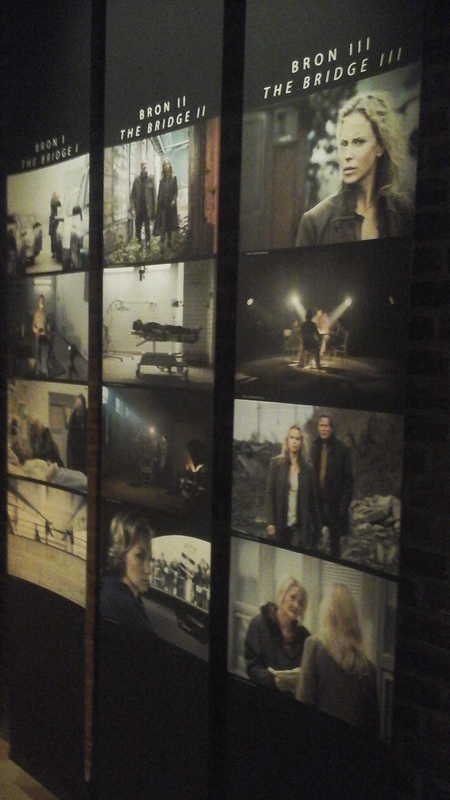 The exhibition also includes photographs, video clips, a map of Malmö locations featured in the series, and a large production bible which details the series creators’ key creative choices offering a revealing insight into the workings behind a hit TV series. Illuminating and engaging, the exhibition provides an exhaustive overview of The Bridge and its place in modern Scandinavian society. Fans eager to take the experience of being in Malmö to an entirely different level should book a place on the location tour. Travelling around the city’s hotspots, its backstreets and deserted industrial plants, a guide reveals behind the scenes stories, explains how Malmö has been transformed in recent years, and offers insights into Swedish culture. An on board DVD player screens clips enabling fans to compare locations with their appearance on screen. The tour lets fans follow in the footsteps of on-screen detectives Saga Norén and Martin Rohde. Viewers will be surprised to discover that a doctor’s surgery doubles as the city’s police station in the series. Taking in Malmö locations featured prominently in the series the tour visits the exterior of Saga Norén’s apartment block and offers fans spectacular views of the Öresund Bridge. 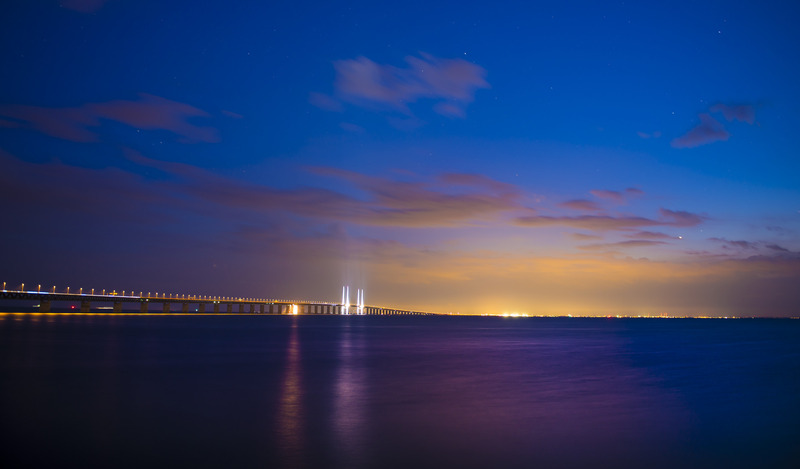 Backdrop to three seasons of murder, intrigue, and international police co-operation, the Öresund Bridge is a symbol of cross-border harmony. Opened in 2000, the ten mile crossing has a deep meaning for Denmark and Sweden. Until 1658 Skåne County was part of Denmark and in the years between 1521 and 1814 the two nations went to war 27 times. An architectural triumph, the bridge represents close cultural and economic ties between countries that once waged war but have now found a lasting peace. Fans making a pilgrimage to Sweden’s southern capital to inspect scenes of crimes featured in the series will experience a metropolis more vibrant than its small screen counterpart. A cosmopolitan city undergoing expansion and renewal, previously an industrial district Malmö is now at the forefront of cutting-edge developments in design. An international centre for innovation and culture, Malmö ranked fourth in Forbes 2013 list of the world’s most innovative cities. This future-facing metropolis is home to a diverse populace, the city’s residents speak 176 languages. Easily accessible via Copenhagen Airport. 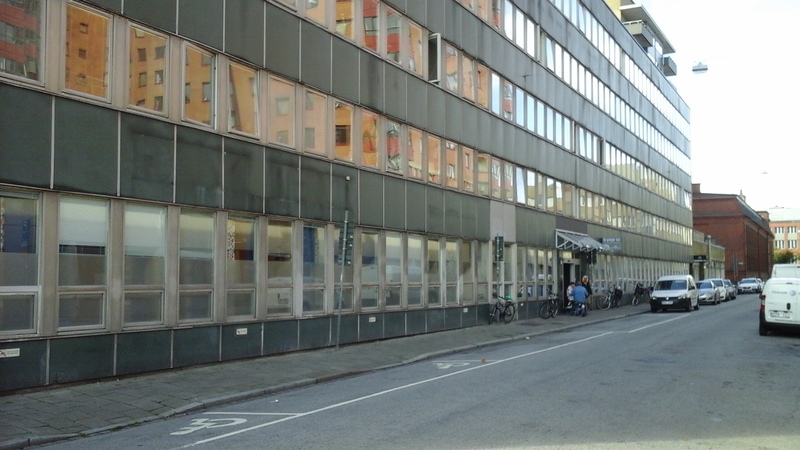 The average rail journey time between airport terminal and Malmö Central is 20 minutes. Oh my goodness I had no idea about this! As a huge fan of The Bridge this is going on my to-do list for next year.